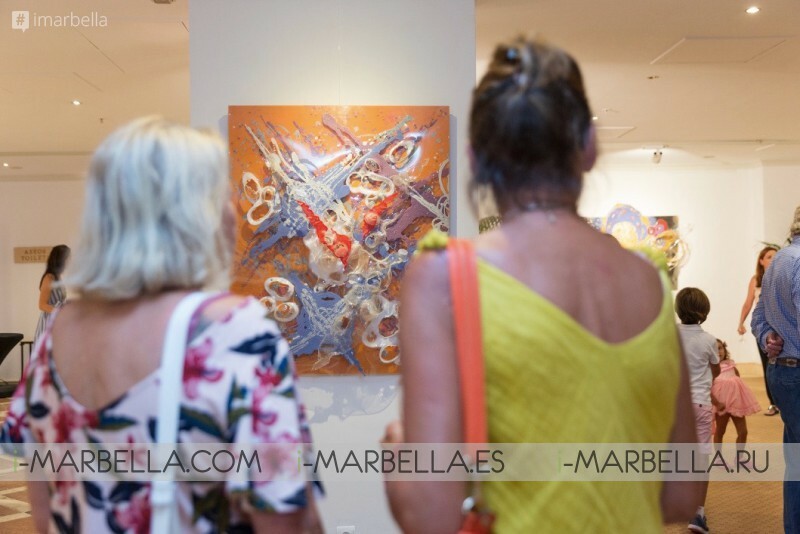 The inauguration celebrated on July 19 of the art exhibition by Madrid-born painter and sculptor Urbano Galindo at Kempinski Hotel Bahía was a success. More than a hundred guests enjoyed the opening ceremony, which was attended by the artist, well known for his portraits of the aristocracy and prominent personalities. The exhibition that is currently being held at Kempinski Hotel Bahía and will take place from 19th of July to the 8th of August, it consists of 17 works. Officially inaugurated by the mayor of Estepona, José María García Urbano, who was accompanied by the delegate councilor of the Sociocultural Area, Blas Ruzafa, and the councilor of the Tourism Area, Ana Velasco. 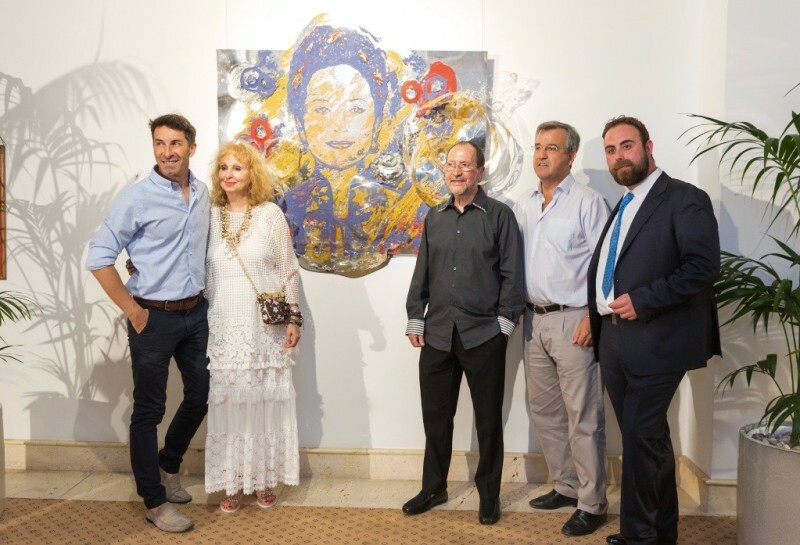 The councilor referred to the commitment to the culture that is being carried out by the City Council in the city and valued the effort of Kempinski Hotel Bahía to help promote art through these initiatives. 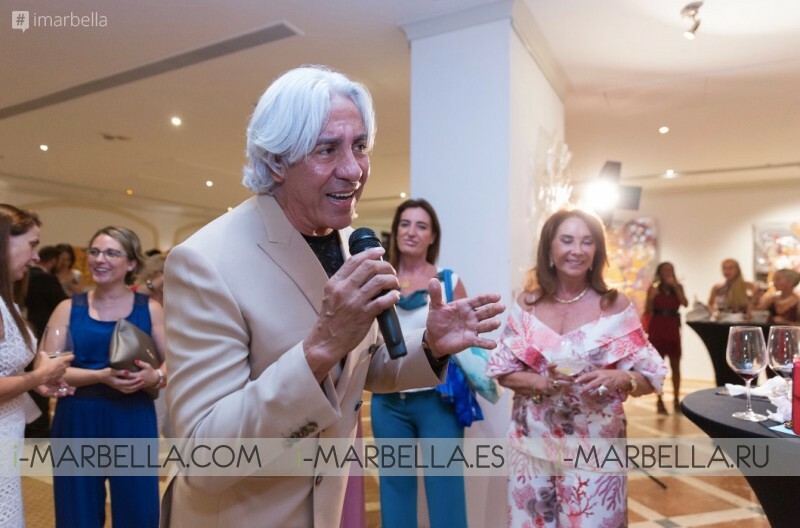 Urbano Galindo showed his satisfaction with the event, "it has been a real pleasure to exhibit my works in such a wonderful hotel as Kempinski Hotel Bahía in Estepona"
He also explained the evolution of his work, stating that "during my last years and in more than three thousand portraits I have seen a transformation in my paintings-sculptures using ethereal materials, showing my spirituality, transforming my sepia-colored works, which were more classic, to works in purple, ocher and gold, which make the journey from my interior looking for the beauty of energy and harmony of the cosmos. The exhibition, which can be visited until August 8, has been brought by LuxStyle, Fashion & Luxury Consulting. It is composed of 17 sculptural and pictorial works of the artist's new style, with works in purple, blue and gold. Among the works of this exhibition, highlighting the portraits of the Sheikha of Qatar and the Chinese first lady. It is worth remembering that the exhibition remains at Kempinski Hotel Bahia, five stars Grand Luxury until August 8 from eleven in the morning to nine at night. It is the first show of the series of art events that will take place at the hotel throughout this year, in addition to other cultural events. Urbano Galindo is a painter, sculptor, poet, and mystic. His famous portraits unite physical and interior beauty perceived in smiles and looks. His transformation goes from his sepia portraits marked by the aristocracy of the 90s to the creation of works in purple, blue and gold to sheikhs, queens and members of the current aristocracy with his painting. The sculptures of Urbano Galindo immerse the visitor and spectator in the infinity of the creator God and surround him with multicolored spirals.